Kids in restaurants have been a hot topic lately because of a restaurant owner who definitely acted like a jerk over a kid who was maybe or maybe not acting like a jerk while the parents maybe or maybe didn’t do something about it. Until some third party describes what really went down in that situation, I’m not making any judgments about it. 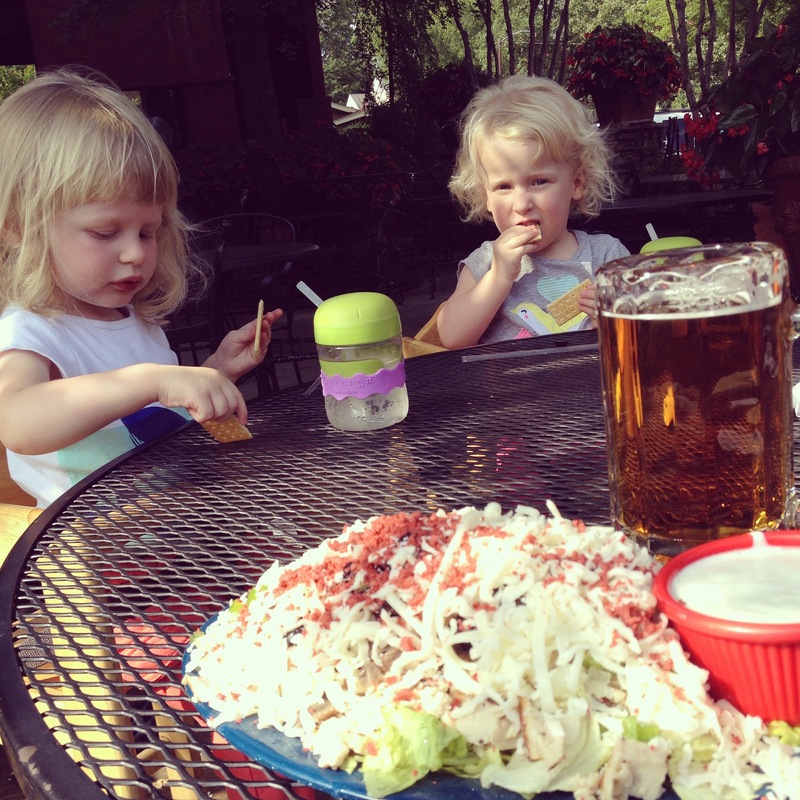 However, as someone who loves food and likes eating out and also has two small humans who often accompany us when we eat out, I did want to talk about eating out with kids. Part of my job as a parent is raising my small humans to be good citizens, who know how to navigate social situations, who know how to act in public. Eating out is part of that. And you can’t learn how to do that until you actually do it. 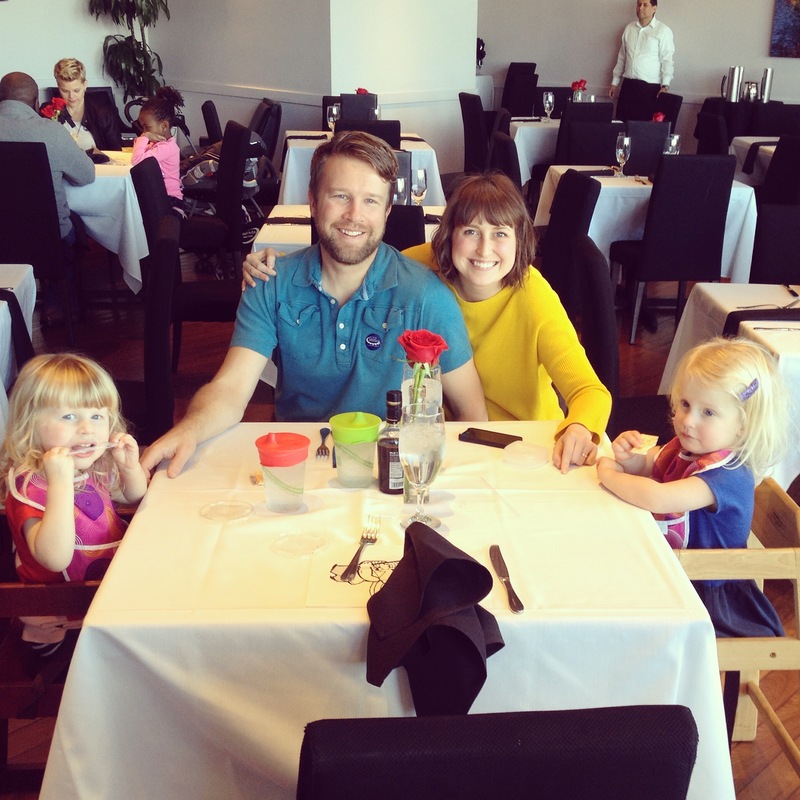 Our kids have been going out to eat with us for all of their three years of life. The best times were probably when they were infants. 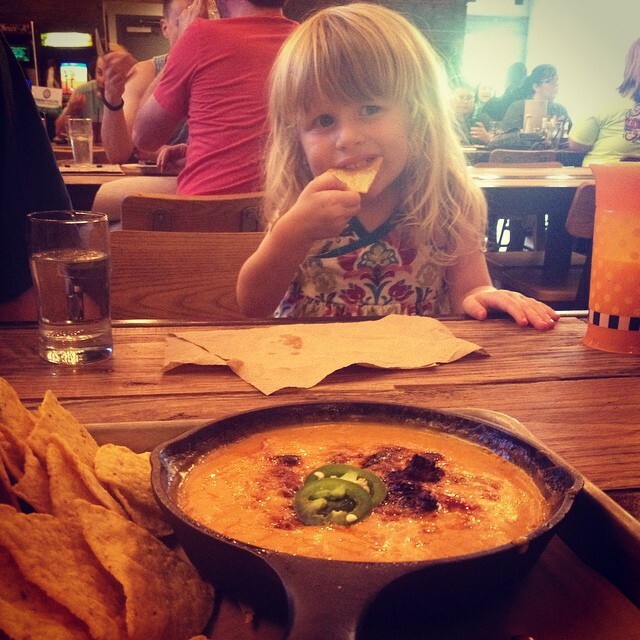 We could put them on the floor in their baby buckets…I mean, car seats…and they’d sleep the whole dang time while their tired twin parents guzzled cheese dip and margaritas. Local Mexican restaurants and an Oyster Bar near our house were two favorites. 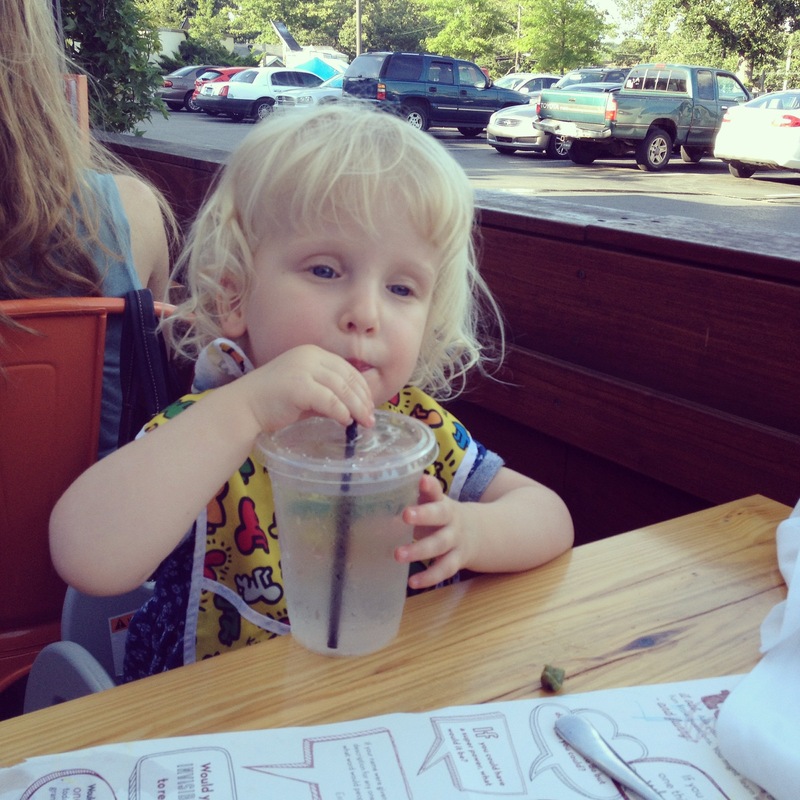 As they got to be older babies and early toddlers, we played to our strengths: we went to noisy places, the types with high chairs and kids menus, and we went EARLY. We took toys and sippy cups, and when they fell apart, we took their butts right out, sometimes even all the way home, although that was rare. Now that they’re three, they’ve had years of practice eating out, and also years of practice of being expected to sit in their high chairs, eating their food, at the table with everyone else, until everyone is finished for dinner at home every night. I can’t remember the last time we actually had a bad experience in a restaurant. Now, we don’t just have to stick to “family restaurants,” but can even go to places with like, actual table cloths and stuff, like in that picture from Forty Two at the Clinton Presidential Center, which may seem fancy, but also has a very courteous wait staff and a GREAT kids’ menu. Strangers have actually remarked to us on several occasions how cute and well-behaved our children are in restaurants, and we smile and tell them thank you, it took a lot of practice, and if they weren’t being cute and well-behaved, we wouldn’t be staying long. We love the patio at US Pizza. The girls love their spaghetti and meatballs, which can feed two kids for $3.50, and we can walk there. 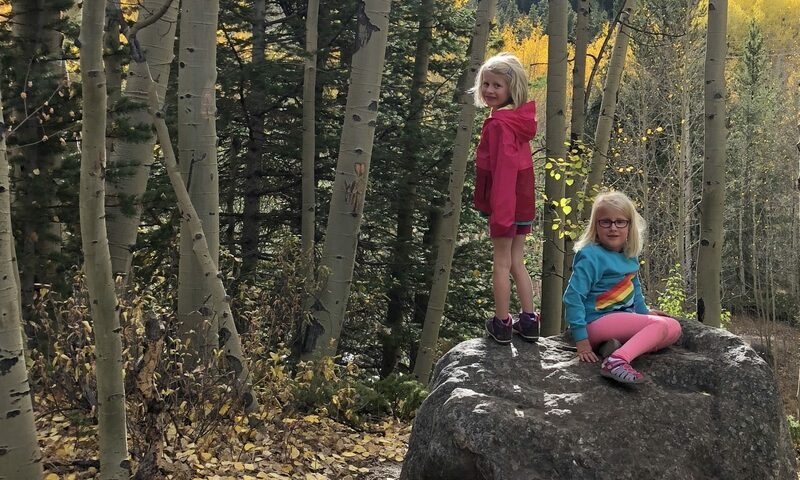 I think the best statement I’ve ever seen on kids in bars was on the menu of a place called The Bird where I had one of the best burgers of my life in Jackson, Wyoming. 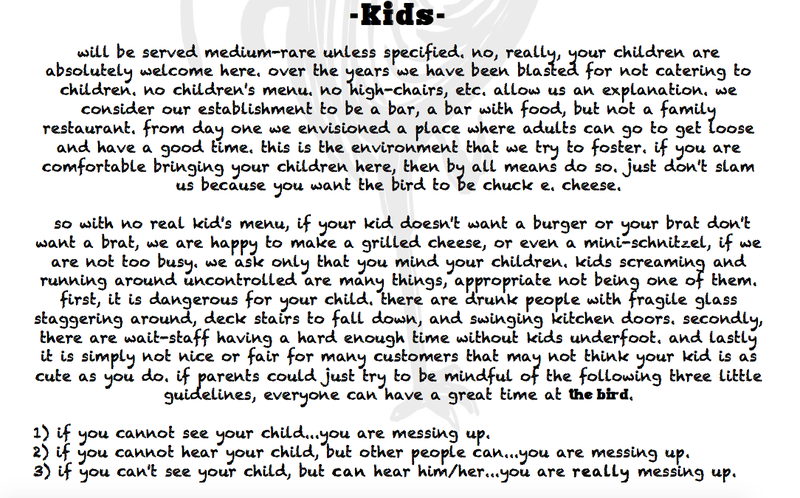 I probably would not take my kids to The Bird, because we like having high chairs, and because it really is more of a bar than a restaurant. Once they were old enough to not need a booster seat? Maybe. But I like that they make their standards clear, and I realllllly loved that burger. I’d hope that if they did have a kid or parents who were “messing up,” they’d just politely ask the family to handle the situation or leave, without, you know, screaming at children. 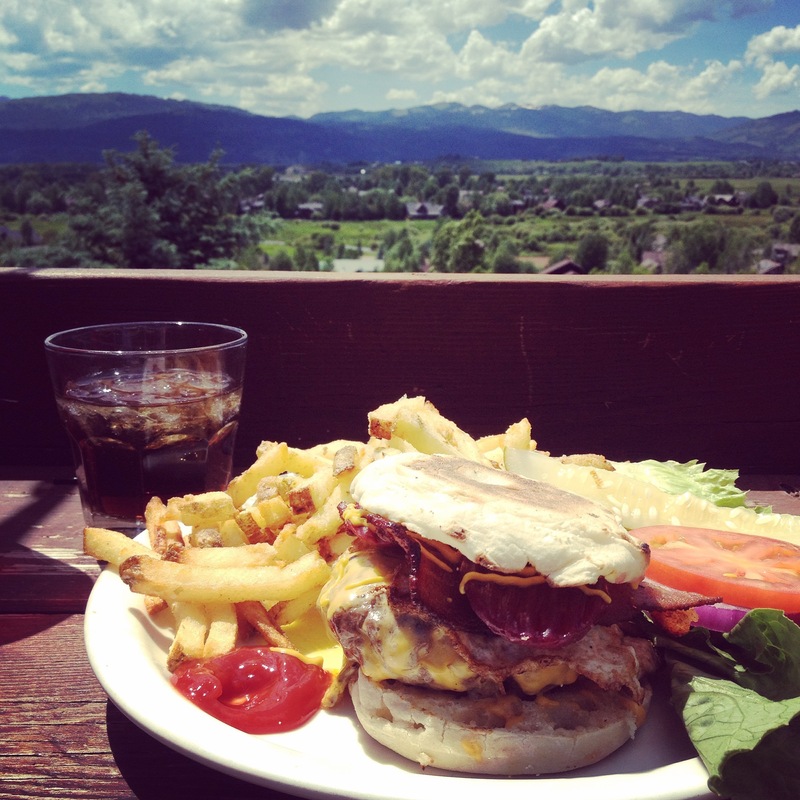 For the record, this is the amazing burger and amazing view at The Bird. A literal cheeseburger in paradise. Parents want to be able to eat out. 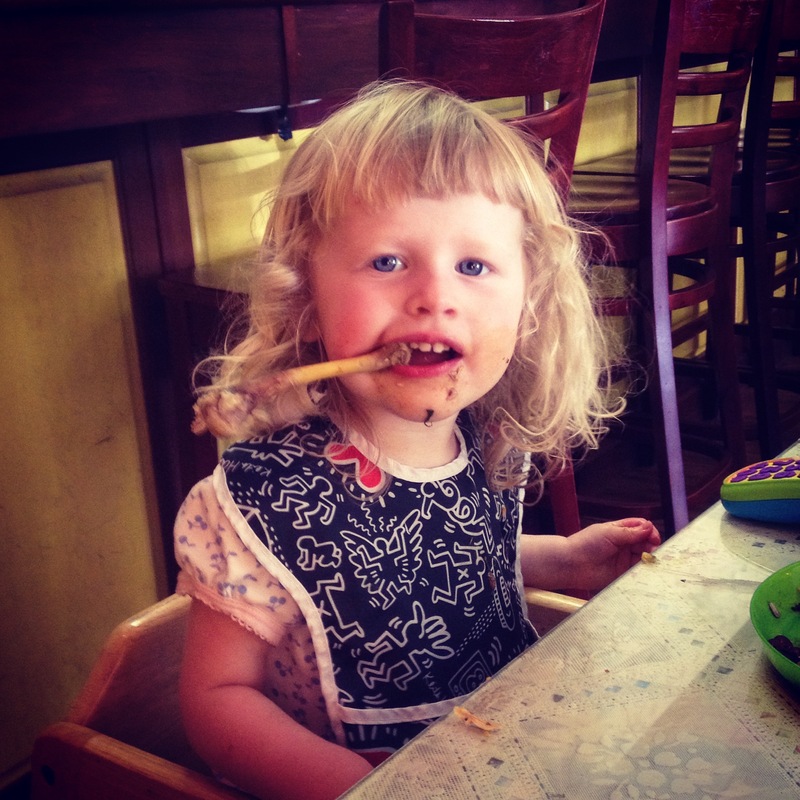 Kids need to be able to eat in restaurants in order to learn how to act in restaurants. 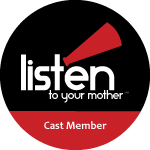 Obviously kids will mess up along the way to learning how to act, and it’s on the adults around them to model correct behavior, like asking people to leave *politely* if they’re being a disturbance, like getting the heck out of Dodge if your kids are consistently being obnoxious/tired/emotional/loud. If everyone did that, everyone could have a good time not just at The Bird, but in every restaurant. I’d say I’m addicted to Pinterest, but that would imply a problem. Really, Pinterest is a big solution for me. I used to have folders upon folders of bookmarked recipes, but I only ever used less than half of the saved sites, because scrolling through filenames isn’t very inspiring or appetizing. Pinterest has changed all that, because I can scroll through pictures instead of filenames. I have 17 food-related pinboards alone, each representing a “genre” of food, like “TexMex/Mexican/Latin,” “Pasta,” and “Breakfast.” I usually loosely plan menus weekly, which for me means picking out 4-5 dinner recipes, a lunch or two, some sort of snack, and maybe a special cocktail or popsicle recipe. I’ll sit down in front of my computer, open up my boards, and pick say, one “Pasta,” one “TexMex,” one “Asian/Middle Eastern” and one “Vegetarian” dinner, scrolling through the pictures to see what looks tasty to me. Then I’ll pick one or two recipes from “Salads and Sides” to have for my lunches, and something from “Appetizers and Snacks” to munch throughout the week. My husband isn’t home for dinner one or two nights a week, and on those nights I eat leftovers, and we usually go out at least once a week. I usually don’t eat breakfast, or if I do, I make some sort of scrambled eggs or a homemade Egg McMuffin. Many criticize Pinterest for being all inspiration, but very little action. While I do have some purely aspirational Pinboards (I mean, I don’t wear most of the outfits I pin), most of my food-related pins are actually in the queue to try someday soon. 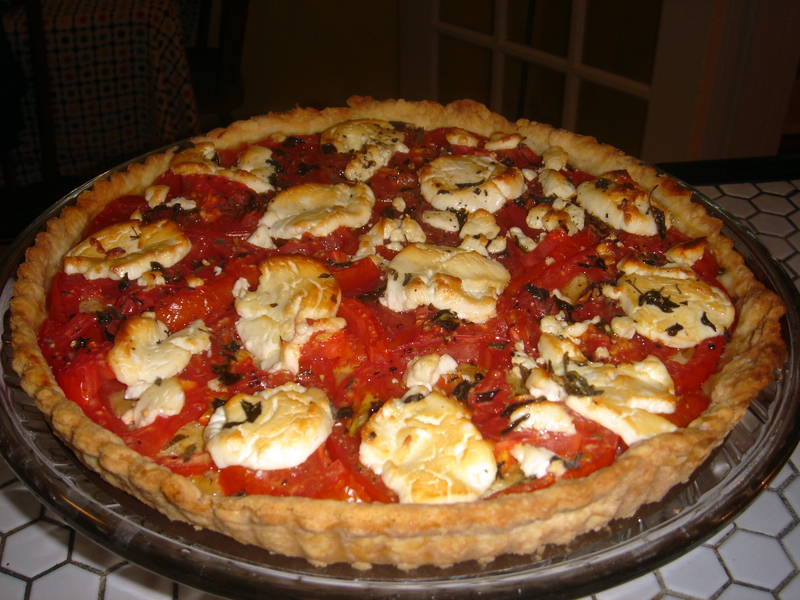 I thought it might be fun to actually share the things I cook from my pinboards, and give you the links and let you know how things turned out. I’m calling this feature MMMMonday. This salad served as my lunch a couple of times this week. I made a few changes to the recipe, namely leaving out the peanuts, adding sesame seeds, and adding a couple of tablespoons of sesame oil to the dressing. Next time I might cut down the dressing a little bit, as the salad was slightly swimming. I’ll definitely be making it again. I wanted to make a special meal to mark my husband’s first day in his new job, so I turned to classic Southern cuisine. The fried chicken is a recipe from one of my favorite Charleston restaurants, The Glass Onion, and even though it only sat in the buttermilk brine for a few hours instead of overnight, it was still flavorful and juicy. The okra was inspired by this recipe, except I sliced it, tossed it with olive oil, cornmeal, and Cavender’s Greek Seasoning before roasting. A flavorful, healthier alternative to full on fried okra. The tomato salad was served with a Southern Living recipe for a cucumber basil ranch-type dressing, which was a definite keeper. I even ate the cucumbers in the dressing by themselves for a snack later. 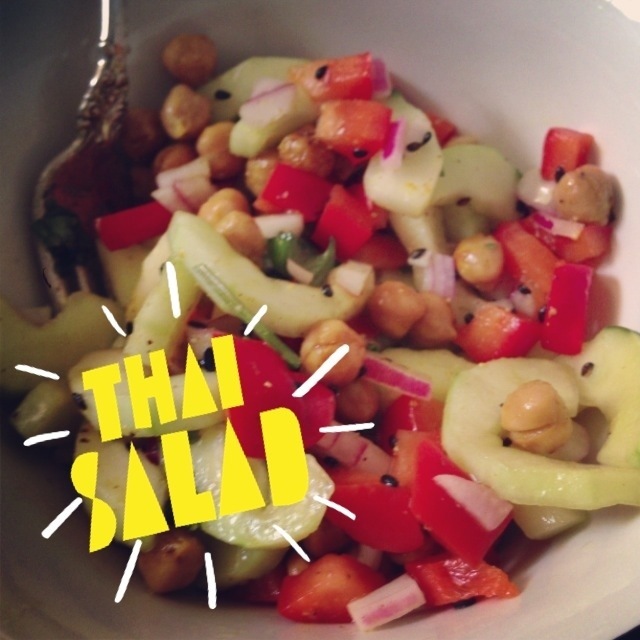 Omitting the cucumbers altogether would yield a tasty dressing for other salads, too. 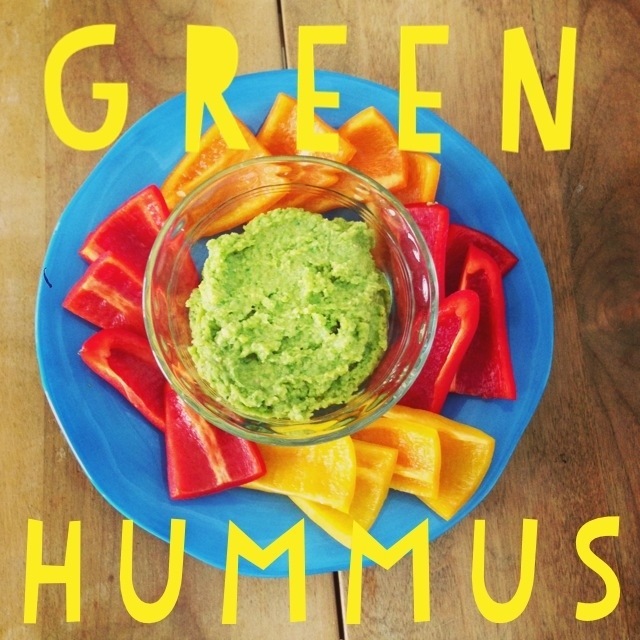 This green hummus is a super healthy snack, chock full of protein-filled chickpeas and nutrient-rich greens like arugula, spinach, and cilantro. I didn’t change a thing about the recipe, and even Etta loved it smeared on a tortilla. I prefer to dip veggies, myself. 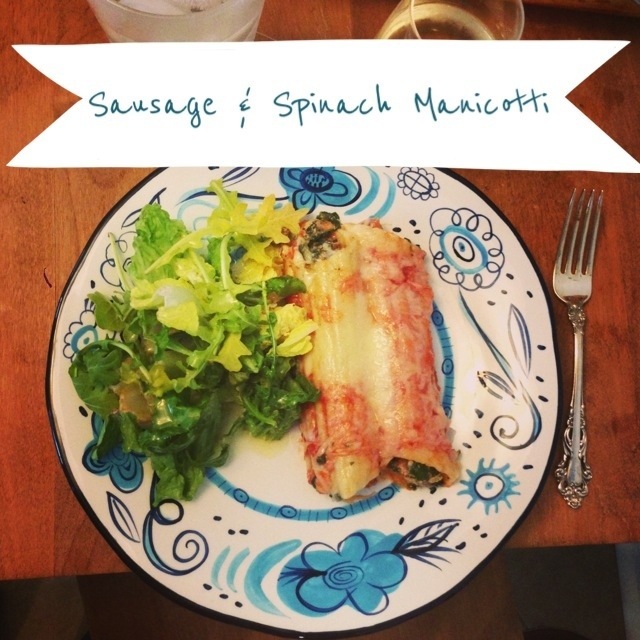 This dinner was inspired by a sausage and spinach stuffed shells recipe. When my grocery store didn’t have shells, I decided to turn it into manicotti. My changes were adding a little tomato sauce poured over the manicotti before topping with shredded mozzarella and parmesan cheese. This meal was amazing. 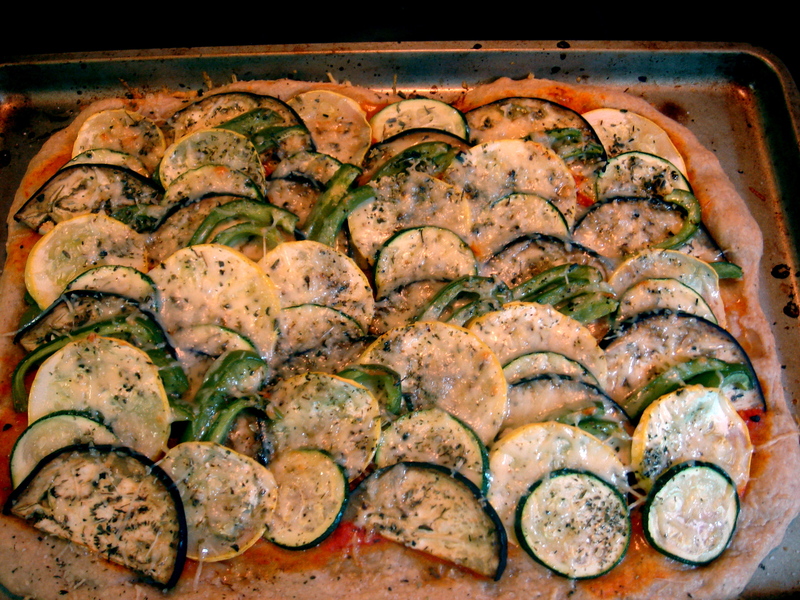 I followed the instructions to bake my squash instead of frying it, and it was still crispy and delicious. For the salsa, I used a whole jalapeno, added more cilantro than called for, and added a diced sweet pepper. I also don’t think charring the corn really added all that much to the taste, and would think canned or thawed frozen corn would serve just as well. Another thought: if you don’t want to use panko crumbs, cracker crumbs would be a good substitute. I served the tacos with black beans cooked from dried beans in the crock pot for the first time, which was so easy and cheap, I’ll be ditching my canned beans habit very soon! In the future, I may use this panko-crusted oven-frying method to make veggie “fries,” while playing around with seasonings. No Pinterest Fails this week! What about you? Have you tried anything you saw on Pinterest lately? How did it turn out? My Kitchen Catch-all posts are a roundup of what I cooked, where I ate, what I’m thinking of cooking, and what’s got my brain cooking each week. Let me know what you think, and tell me what you’ve been cooking lately! This isn’t everything I cooked this week, but more of a highlight reel. 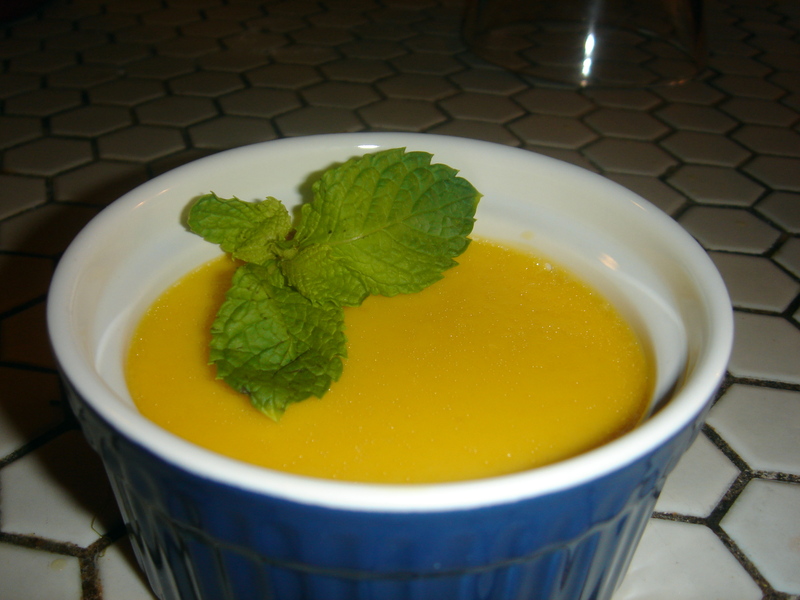 The same night we ate the tomato tart, I also made us a fancy dessert: Honey Lemon Pots de Creme. Usually, you see chocolate pots de creme, and though I love them, they’re not very summery. This recipe makes a VERY lemony, tart, creamy dessert. Jon wasn’t crazy about them, but I was a fan. Be sure to grate the lemon zest very fine or it will make for a strange texture. Berries in Meringue bowls with Orange-Scented Chocolate and Vanilla Cream: Because the pots de creme used a bunch of egg yolks, I had a bunch of whites left over. 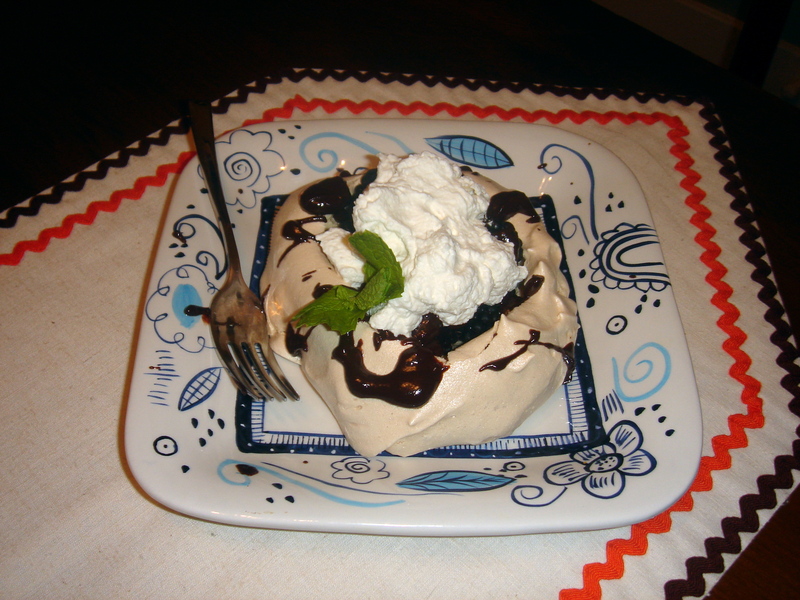 I had seen an episode of Jamie Oliver this week where he made a big meringue with pears and chocolate and cream and decided to try something similar. My vision was to have little bowls made of meringue, filled with summery berries and drizzled with orange-scented chocolate and sweet vanilla cream. To make the meringue, I whipped my six egg whites until they formed firm peaks, then added about a cup and a half of sugar and a pinch of salt and whipped on high for about 8 minutes. I formed the meringue into 6 little bowl shapes on cookie sheets lined with parchment paper and baked for about an hour at 300. I filled each bowl with blackberries, and drizzled them with chocolate (the chocolate was bittersweet chocolate, melted with the zest of 1 orange and thinned out with a little cream) and topped them with a vanilla cream (1.5 cups heavy cream whipped with 1/4 cup powdered sugar and a dash of vanilla). SO YUMMY. Ok, so, you can't see the berries, the cream would look better if it had been piped on, and the chocolate wasn't thin enough for pretty drizzling. STILL. This was amazing. Much like I did for Charleston restaurants, I plan to make a running list of places I’ve tried in Little Rock. Wednesday night I joined some girlfriends from church for a girls’ night at Salut Bistro on University. The restaurant is a little hard to find, as it’s in the first floor of what seems to be a tall office building, and the entrance isn’t clearly marked. I had a yummy $6 glass of Kung Fu Girl riesling from Washington and enjoyed a beef brisket sandwich with a side of fries. The sandwich was tasty, and the fries were well seasoned. The menu was a bit scattered, but the food was good, and I think everyone I was with enjoyed their meals. They also have a late-night menu that looked pretty good– might have to go back and see what that’s like sometime. I’ve been meaning to try my hand at making my own pitas for a while. Now I’ve got my eye on making some tzaziki sauce to go with them (Serious Eats). My favorite restaurant in Charleston was the Glass Onion. Located just around the corner from our house, the GO was a regular haunt for us. I liked things there that I wouldn’t eat anywhere else, including biscuits and gravy and meatloaf. 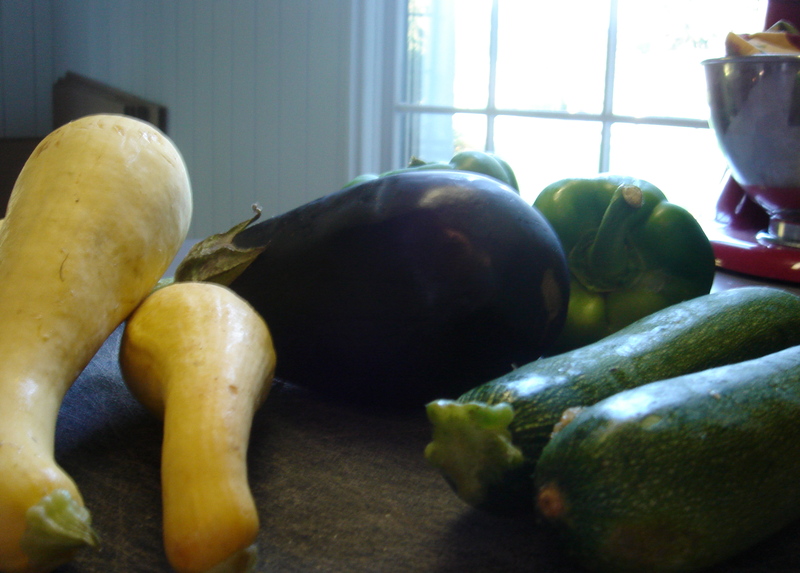 Their delicious Southern food is also deeply local, and they served as the pickup point for our CSA. All this to say, they have a blog, and word is they’re going to be putting out a cookbook. 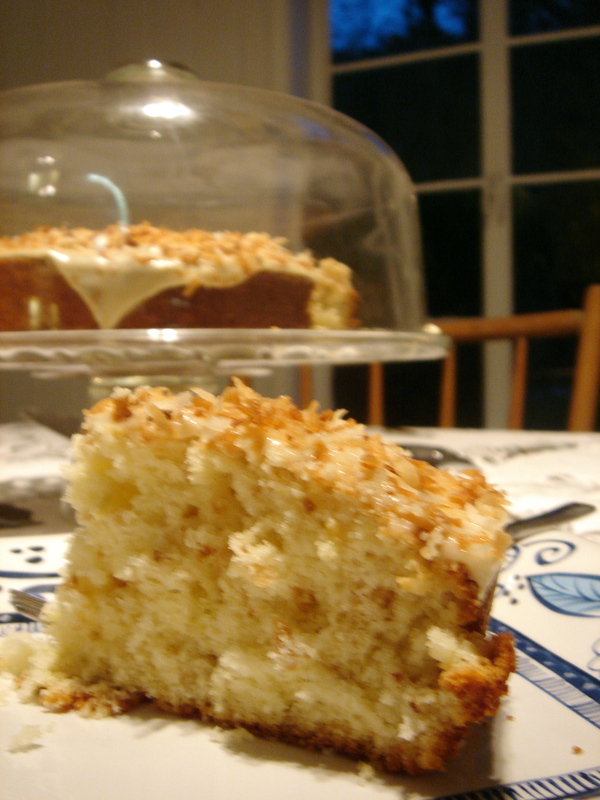 I was happy to see they shared their Country Captain recipe and plan to make it soon. It’s a Southern curry dish– yes, there is such a thing! I’ve also been dreaming of replacing my non-stick KitchenAid cookware for a stainless steel set. Serious Eats says the Tramontina sets sold at WalMart are basically as good as 5 x’s pricier AllClad sets. First cupcakes, then macarons, then whoopie pies. Apparently the next big dessert trend, according to The Kitchn, is Moon Pies. From The Atlantic, a theory about why we love food TV so much. We’re eating a lot less meat these days, but when I saw organic free-range chicken on sale at Kroger, I knew I had to grab it. After that, I had to decide what I wanted to do with it. Very quickly, I remembered Jamie Oliver’s Chicken in Milk recipe which I had seen hyped on Apartment Therapy’s The Kitchn more than once. They even called it “the best chicken I’ve ever had.” So of course I had to try it! Overall, the recipe is a very easy one. Aside from browning the chicken in butter in a skillet (which I think you could totally skip if you’re not planning to eat the skin), the recipe is pretty hands-off. You just put all the ingredients in a dutch oven and let the chicken braise in the delicious flavors of lemon, herbs, garlic, and, strangely, milk. Many Apartment Therapy commenters seemed confused that you’d mix milk and citrus and were concerned about curdling. 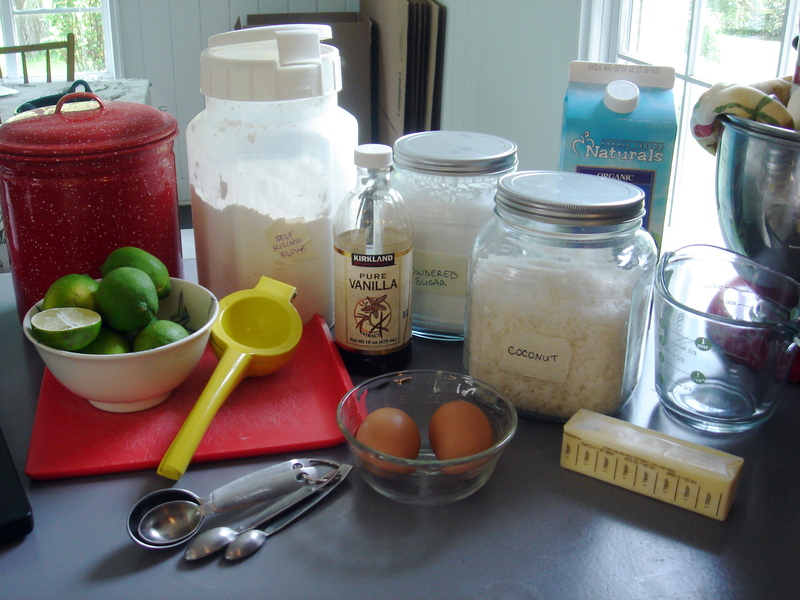 They were right to be concerned, as I often mix lemon juice with milk to make buttermilk in a pinch. In this recipe, it’s just lemon zest, not juice, in with the milk, so it doesn’t really curdle and separate so much as melt into the chicken, tenderizing it with the lactic acid and keeping it nice and moist during cooking. This is NOT a dried-out chicken recipe. I’m pretty sure if you just served this up to someone, they’d have no idea milk was an ingredient. When perusing recipes online, always read the comments– you’ll probably pick up some interesting tips that may make for a better dining experience. Reading the entire Apartment Therapy post and comments rather than just Jamie’s recipe let me know that I should probably cook this with the lid on for the first hour and off for the last 30 minutes. I also got the idea to stuff the cavity of the chicken with the zested lemons and a little thyme (the herb I had on hand, though the original recipe calls for sage). OK, so it's not magazine gorgeous and I should have tucked the wings back instead of letting them flop all over. 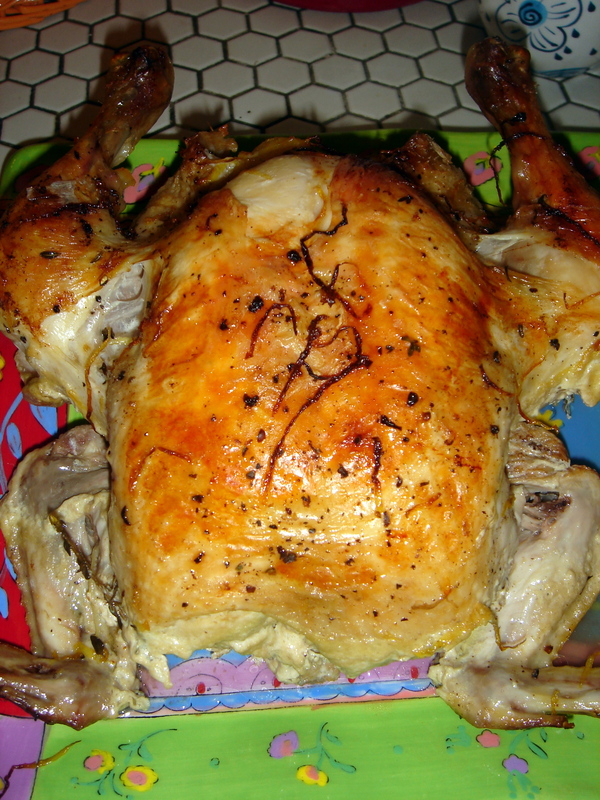 I PROMISE it's one of the tastiest, easiest "roasted" chicken recipes you'll find. Here’s the recipe, modified to my liking. 1 handful of sage leaves or whatever herb you have on hand. Rosemary or thyme works too. OPTIONAL, only do this if you like to eat crispy chicken skin or want it to look pretty and brown, otherwise, it’s just an unnecessary step: Season chicken all over with salt and pepper and heat a few tablespoons of butter or olive oil in your dutch oven. Sear the chicken to golden brown on all sides. Remove the chicken and discard the oil/butter. Otherwise, just season chicken all over and move along. Stuff cavity of chicken with the halved zested lemon and some of your herbs. Place chicken and all other ingredients back into the dutch oven, sprinkling with salt and pepper to taste. Cook for 1.5 hours, lid on for the first hour, lid off for the last 30 minutes. Baste if you want, but I totally didn’t, and it worked out fine. Let chicken rest for at least 10 minutes before cutting and serving. While it rests, fish out the garlic, because it’s SO YUMMY smeared on crusty bread. Reserve the sauce. Pour it over the chicken, dip your bread in it, pour it over the chicken and serve over rice, make mashed potatoes with it… DO SOMETHING WITH IT, as it’s so delicious. I served my Chicken in Milk with homemade beer bread smeared with the garlic and sauteed squash and zucchini. 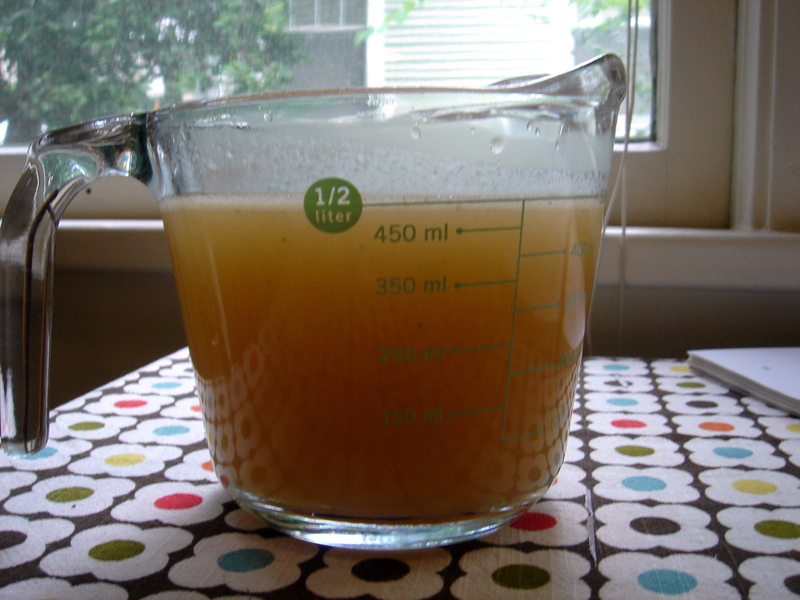 Save your chicken carcass and giblets to make chicken stock. It’s SO NOT HARD, and so much more flavorful and less sodium-filled than canned/cartoned stock. My method is to put the carcass and giblets with a halved onion in my crock pot and cover with water. Then I cook it on low for at least 12 hours. Fish out the big stuff, strain the rest, the freeze in Ziploc bags in 1 or 2 cup increments for future use. It may be cloudier than store-bought stock, but it's much more flavorful and has way less sodium. 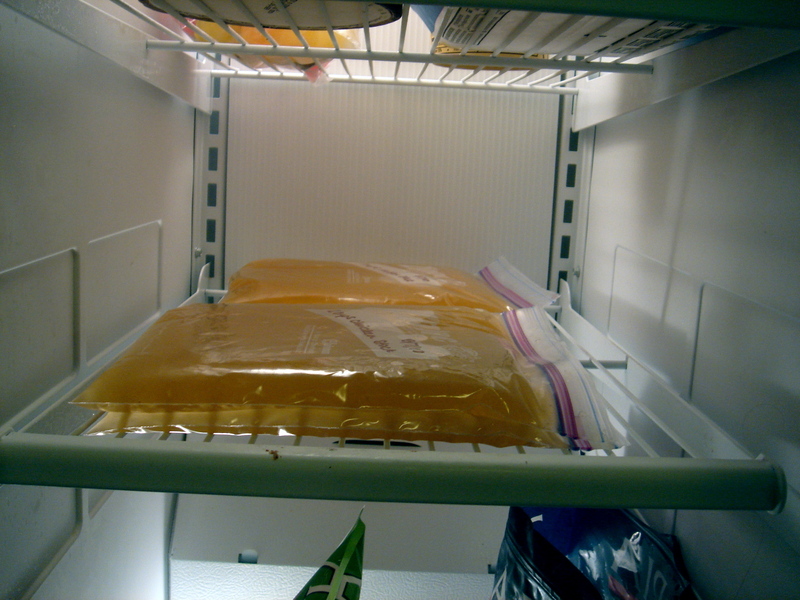 I freeze my stock flat in Ziplock bags in 2 cup increments. Makes for fast defrosting in a sink of warm water when I'm ready to cook. Usually it's thawed by the time I'm done chopping other ingredients. We’ve been in Little Rock and without our beloved CSA for three weeks now, and I’ve realized that after a year as a CSA member, I completely forgot how to feed us in a conventional way. You see, I became so used to receiving a giant box of veggies each week and planning my meals accordingly, that I actually forgot how to plan a week’s worth of meals and shop for us without it. This became apparent today when we realized we were both starving and had nothing in the house for lunch. Before, back in our CSA days, when our fridge was always overflowing with veggies, every meal I cooked involved enough leftovers for at least two lunches. 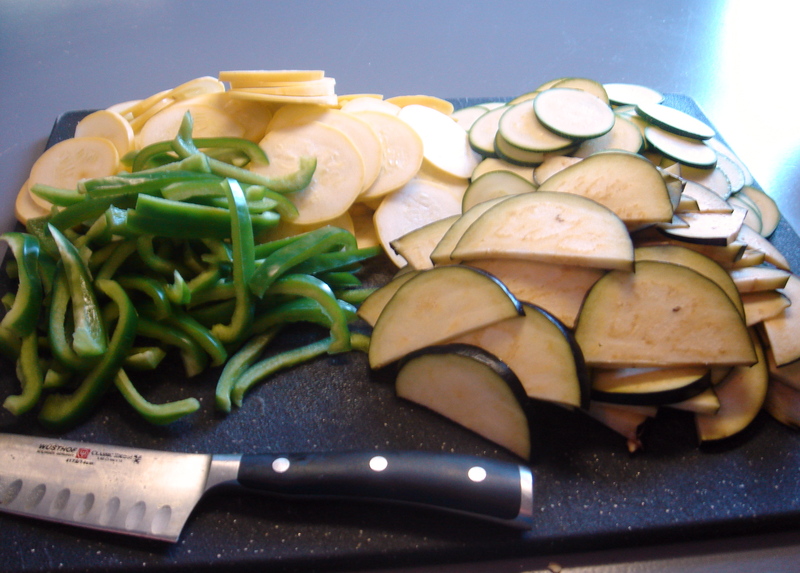 On top of that, just to use up all the veggies before they went bad, I was always making and freezing ratatouilles, soups, and pasta sauces that could be pulled out and defrosted to make a last-minute meal. We only eat meat that is sustainably and ethically raised. This basically means “pastured” meat, or meat that comes from an animal raised in a pasture (more than “free-range”, which is basically meaningless) where it can stretch its legs, graze on grass, and, in the case of chickens, munch on bugs and worms. This meat would preferably be local, but does not have to be. In order to afford that meat, we eat vegetarian (or nearly vegetarian) for much of the week. 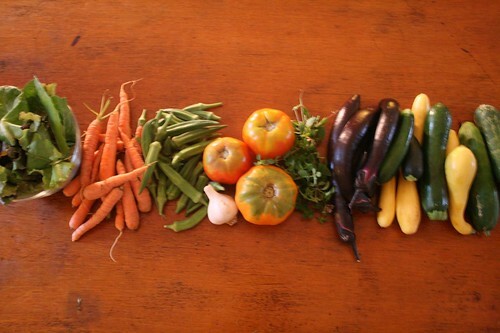 What veggies we do consume are to be local (when possible), first and foremost, and preferably organic. All of our dairy is to be organic. Eggs are to be from pastured nesting hens. We avoid corn syrup, processed foods, and excessive packaging. Our coffee is to be fair trade and shade grown. Most of these rules go out the window outside our home. After some discussion, we decided that 1) we might have to relax our rules while we figure out a food routine here in our new city, and 2) it was time to get ourselves to Sam’s Club. In Charleston, we were members of Costco, but it’s basically the same thing as Sam’s. The #1 major reason to be a member is to get big frozen bags of seafood. Currently, we don’t have rules about seafood, though we are moving in that direction as we learn more about the environmental impact of commercial fishing and fish farming operations. I have a general idea that wild-caught salmon is “better” than farmed salmon, but I couldn’t tell you why. Still, fish is a staple in our diet, because it’s easier to get than pastured meat most of the time, and because I’m still not a good enough vegetarian cook not to base most of my meals around a protein source. Other things we commonly buy at Sam’s/Costco: canned tomatoes, chicken stock, chocolate chips, pasta, pita chips, Zyrtec, Prilosec, Lactaid, parmesan cheese, feta cheese, and dog food. So, now we’re members of Sam’s (which, I have to say, membership for a year was $40 and they gave us a $20 gift card, so, with the savings on what we bought today alone, our membership is more than paid for), and our pantry is nicely stocked. I’m realizing I need to buy more than I think I need at the farmer’s market on Saturdays so I can make a few extra dishes and freeze them to have in a pinch later. We’re still figuring out how to eat our values in a new city, and I’m sure we have a ways to go. 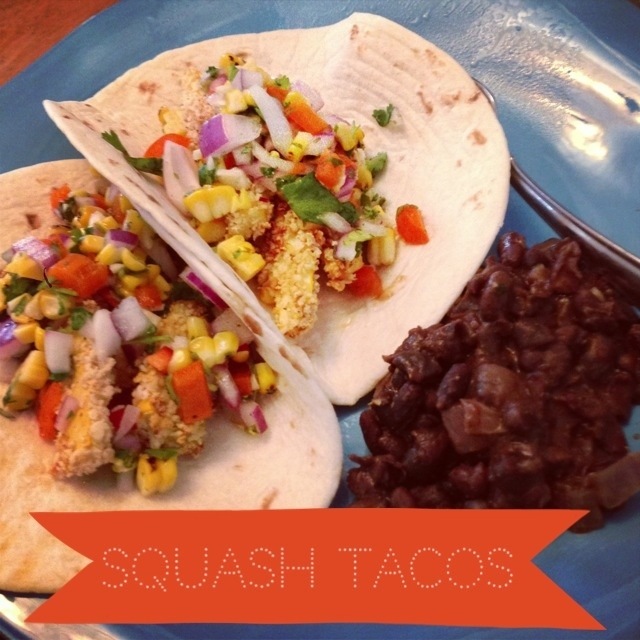 I’m also trying to figure out how the food aspect of this blog will look without the weekly rhythm of our CSA boxes, though I know I want to keep sharing stories and recipes of our adventures in more ethical eating. If you have suggestions, let me know! Here’s hoping we won’t starve because I don’t know how to eat like a regular person anymore. We are moving this Saturday, and will be picking up our last CSA box this afternoon. We’ve arranged for friends to take over our boxes for the three weeks left in the season after we’re gone. 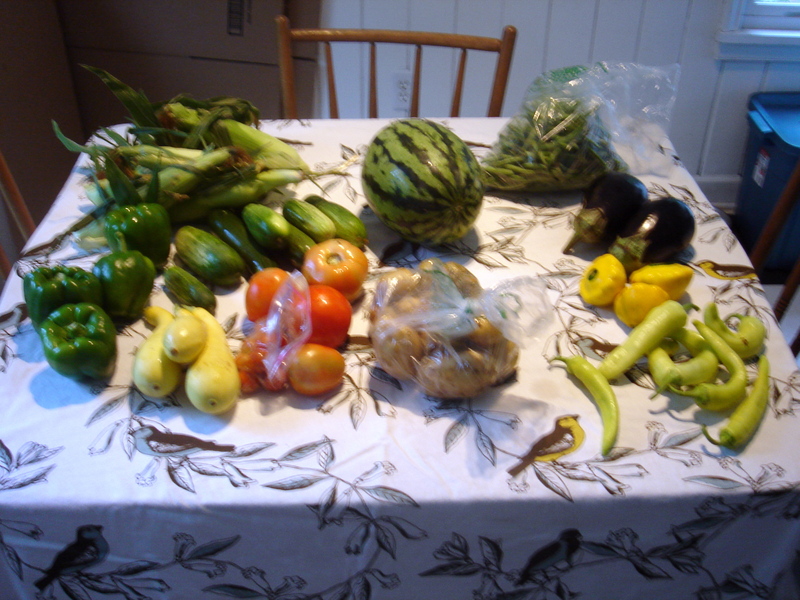 All of this means: this might be my last CSA post for a while, because who knows how long it will take us to get our internet hooked up in our new house. Here’s what we did with last week’s goodies. We gave away a good portion of it because we wanted to be able to eat at some of our favorite Charleston restaurants one last time, but I made some goodies with what we used! I confess I forgot to write down which days we ate what, so I’ll just write up each meal. Mix flours in bowl with 2 T salt and the oil. Using dough hooks on mixer, pour yeasty water into flour while dough hooks are moving. Let rise at least 1 hour, preferably all day. Separate into two balls and stretch each ball across a baking sheet. Then I topped each pizza crust with some leftover tomato sauce I’d made and frozen using this super easy recipe from the Smitten Kitchen (I’m a bit of a fangirl). Next up: time to slice these babies up! Then I arranged the slices on top of the sauce, drizzled with olive oil, sprinkled with salt and pepper, sprinkled with herbes de provence, and sprinkled with parmesan cheese. 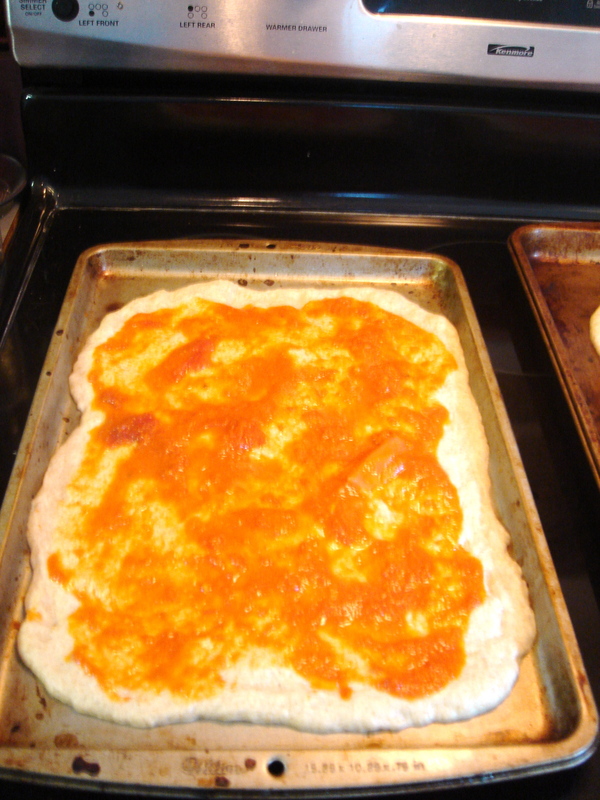 I baked the pizzas for 20 minutes each at 450. They came out delicious! 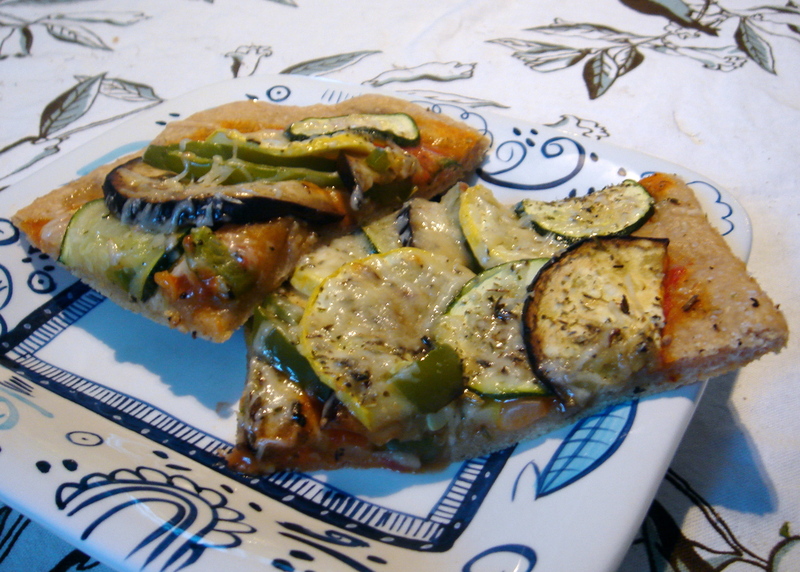 After the pizza, I still had a gallon bag full of sliced squash, zucchini, eggplant, and peppers. I also had half of my tomato sauce leftover. 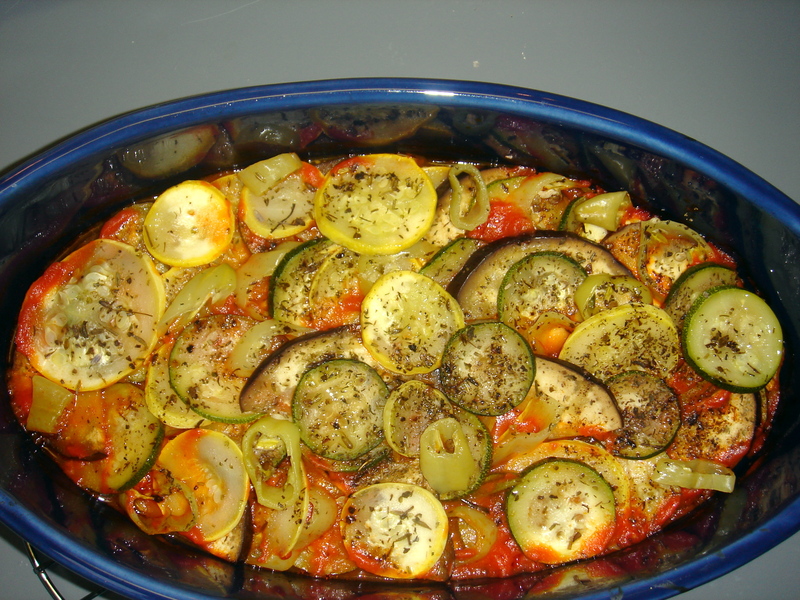 So I decided to try a baked version of ratatouille following this Smitten Kitchen recipe for Ratatouille’s ratatouille, inspired by the Pixar film. Mine wasn’t as pretty as Smitten’s, but I don’t have a mandoline for fancy slicing, so I think I did pretty well with just my knife! 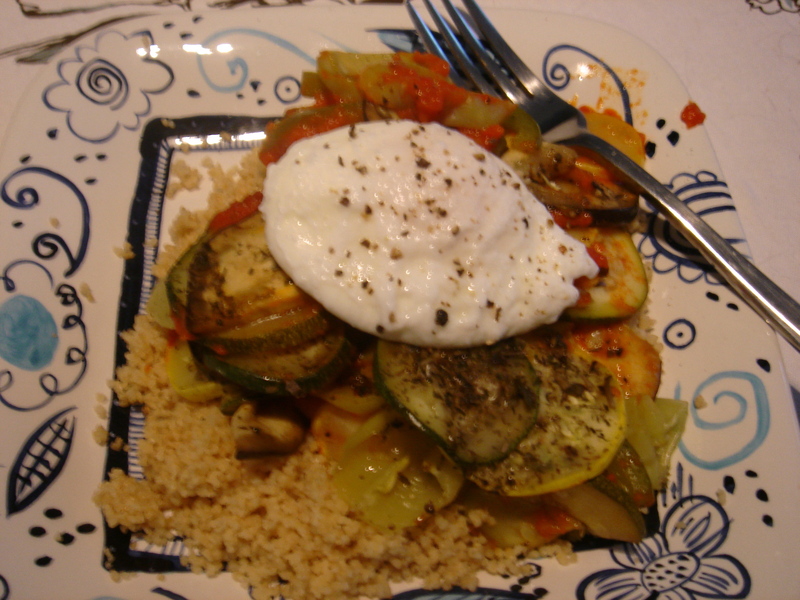 I decided to serve my ratatouille over couscous with a poached egg on top. Considering I’d never poached an egg before, and considering I’m still getting over an aversion to runny yolks, I think my poached eggs came out pretty darn well! It was an absolutely delicious meal. 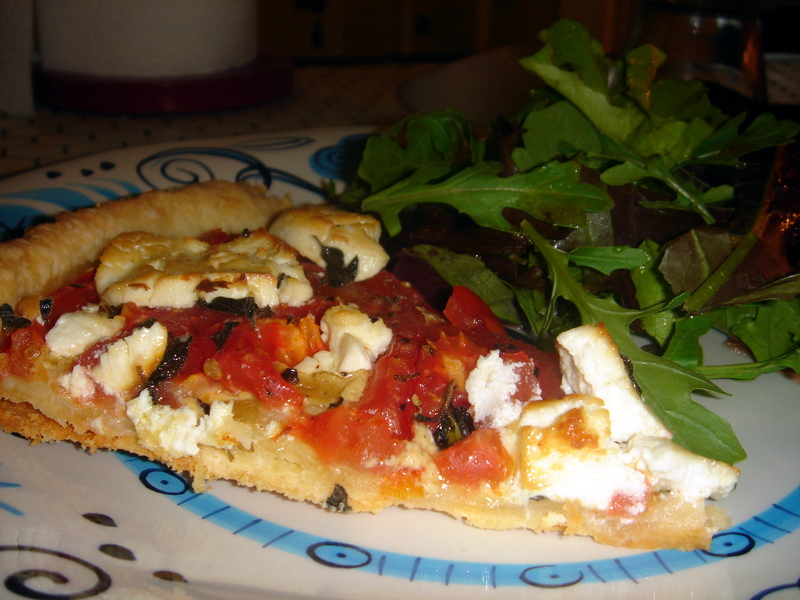 and we still can’t decide if we liked the ratatouille pizza or the ratatouille with poached egg and couscous better! If I were a real food blogger, I'd have a photo of the yolk oozing out of the poached egg. Lesson learned. I made a smoky corn chowder with the corn using this Real Simple recipe, which I’m a big fan of. I’m an even bigger fan of it now that I have an immersion blender– the first time I tried the recipe, I had to use a blender, which resulted in a molten corn chowder volcano. An immersion blender is really a must-have for creamy soups, and it’s also crucial to the tomato sauce I mentioned above. 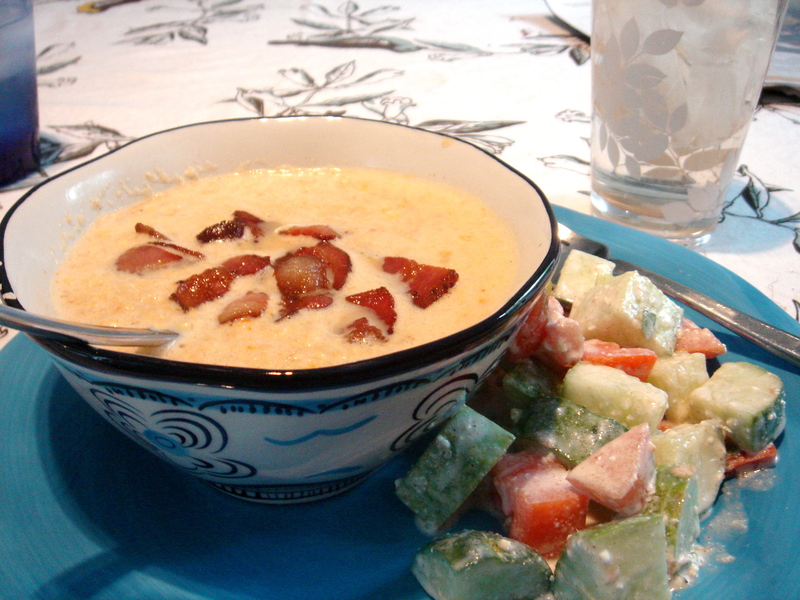 The resulting salad was delicious, and the smoky cumin in the sauce went well with the smoked paprika in the soup. 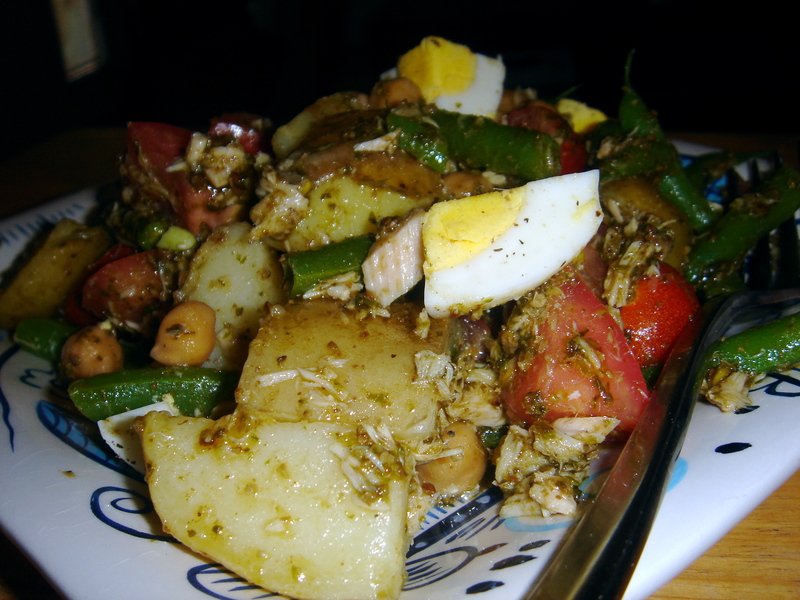 To use up the last of the veggies, I adapted two recipes to make a nicoise salad with a pesto dressing. I always have good pesto on hand, because my mom makes her own with home-grown pesto, and, even if I have to pack it on ice in a cooler, I always bring home a jar or two after a visit. I boiled four eggs and let them cool. I chopped the potatoes and the green beans into bite-size pieces, then boiled the potatoes for 10 minutes, then added the green beans to the pot and boiled both together for 5 more minutes. Then I drained the potatoes and green beans and rinsed with cold water to cool. I cut the cherry tomatoes in half and tossed all the ingredients in a bowl with a can of tuna and a can of garbanzo beans (both drained) (not traditional, but I wanted to use them up before the move). Then I dressed the salad using a mixture of pesto, lemon juice, olive oil, and salt and pepper. Yum! One morning when I was home alone, I fried up some bacon, sauteed the pattypan squash in the drippings, and then scrambled them with eggs, mozzarella cheese (it’s what I had), oregano (it’s what I grow in my front yard), and the bacon. A yummy brunch! I’m not kidding about my Smitten Kitchen fangirldom. 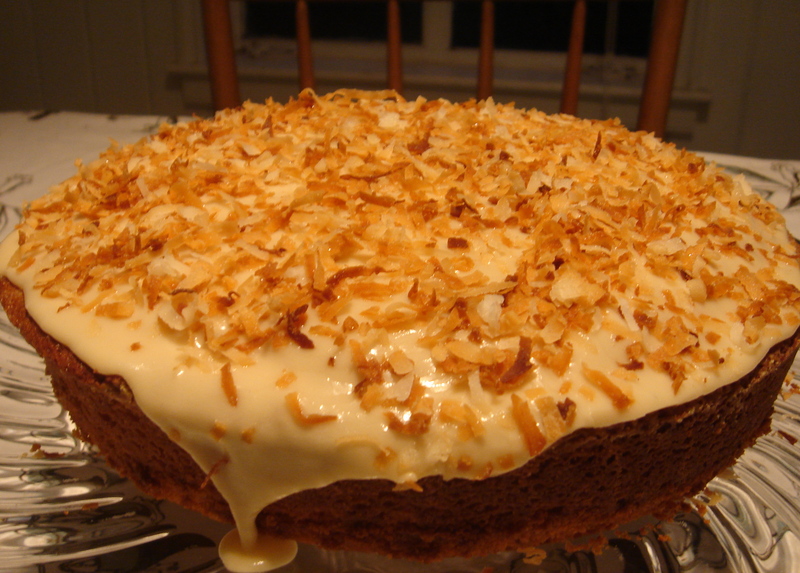 I went looking for a recipe to use up some coconut before the move, and I found this Key Lime Coconut Cake recipe. Whaddaya know? I had limes too! I was so excited about this cake, only to be devastated when It got half stuck in the pan and crumbled into a big mess. I tried again, this time buttering and flouring the pan instead of following the instructions to butter it and place parchment paper in the bottom, and this time it came out great. 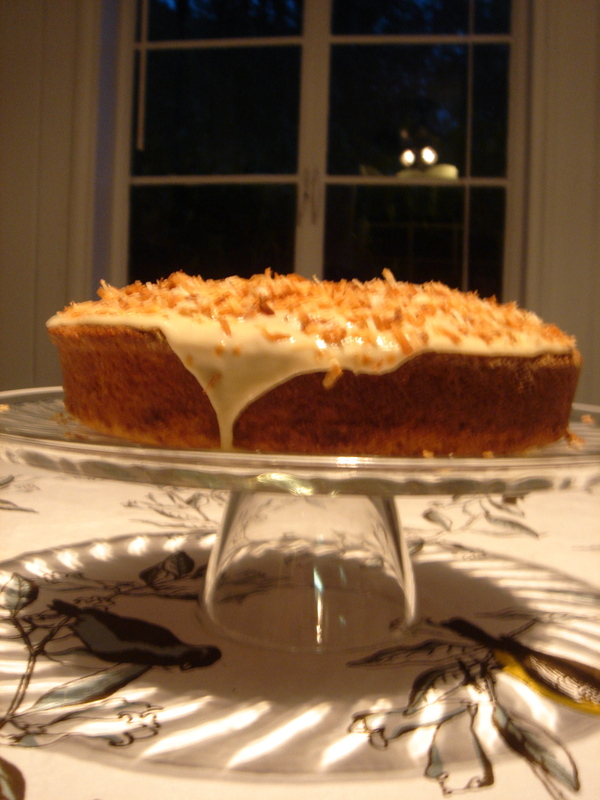 A great summer cake. I have a feeling I’ll be experimenting with the recipe, maybe trying to turn it into cupcakes or a layer cake. And there you have another week of fresh local eats! 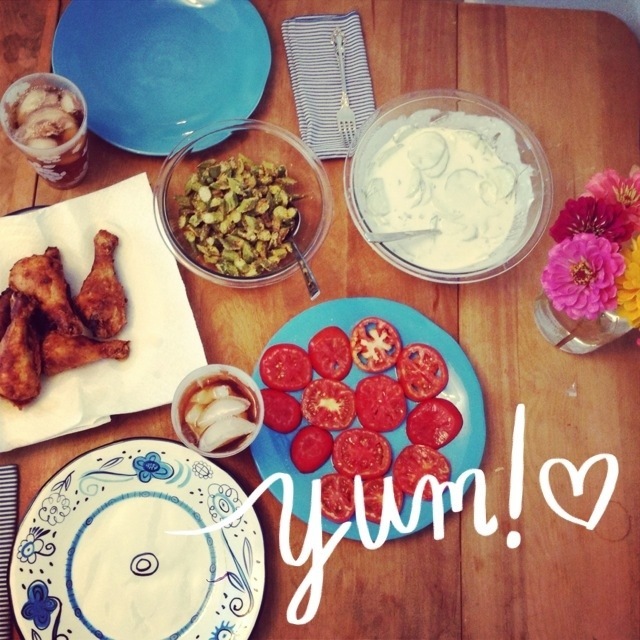 When not eating delicious food at home, we ate out a lot! One night we ate at FIG, one of our favorite Charleston restaurants (seriously, a must-visit if you come here). Another night, we rounded up a whole gang of friends in search of a seafood feast. We had planned to hit up our favorite, Bowen’s Island, a true experience and a must-visit if you’re in Charleston for oyster season (any month that has an “R” in it), but Bowen’s was closed for a private party. So we ended up trying the Sand Castle, a seafood joint on Folly that we’d never visited before. I was sold when I saw that they had fried softshell crab and $3.25 pinot grigio, and Jon got a seafood feast which featured fried flounder, shrimp, oysters, and deviled crab. Saturday we hit up Red’s Ice House with a bunch of friends. 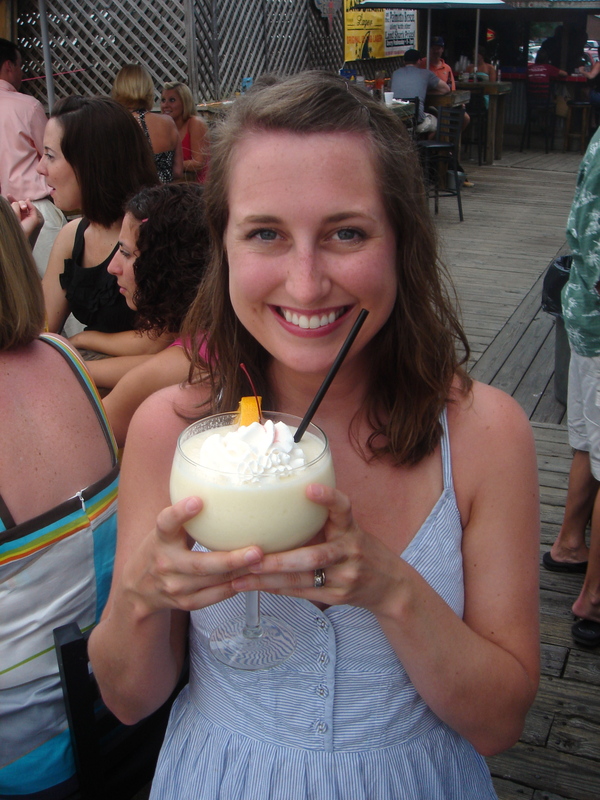 Red’s has miles of deck space overlooking Shem Creek, and my one goal was a giant pina colada, a goal I achieved. 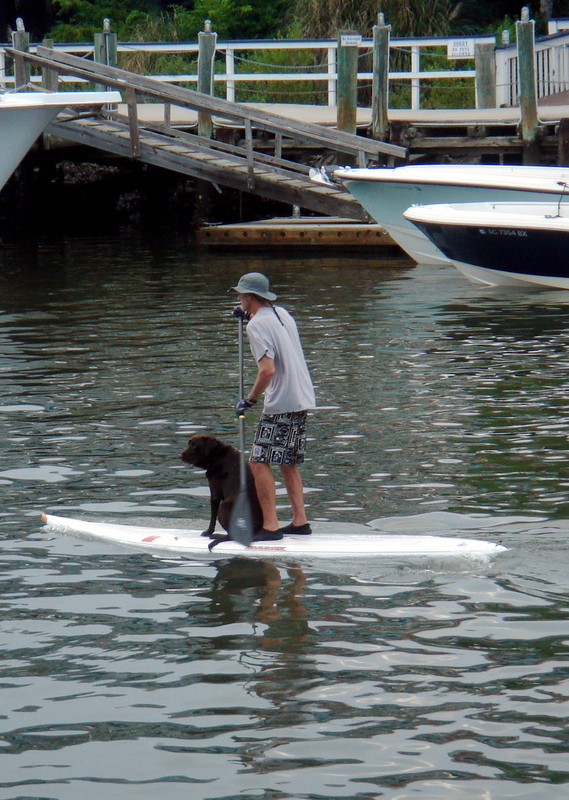 We also spotted a guy paddle boarding with his DOG on board, and were amazed at the dog’s steady, calm pose aboard the surfboard. Just another great night in Charleston! I’m going to miss this place!